< Photograph (B19.248) courtesy Dundee Local Studies Library. 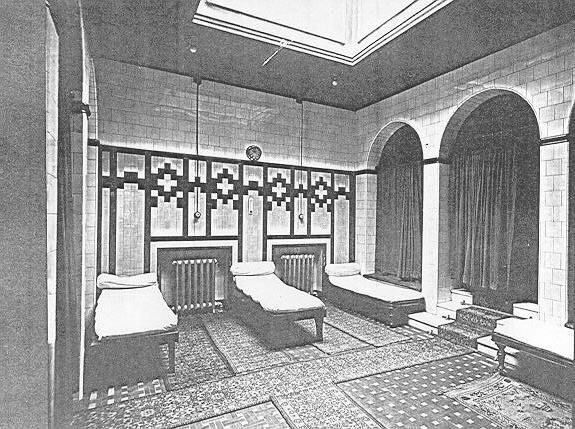 Hot rooms in the Turkish bath— part of the Dundee Corporation Central Baths at West Protection Wall. The hottest room is behind the arch. This photo was probably taken after the £10,000 refurbishment aimed at making the baths 'worthy of the City' in 1910.